As you are well aware, we have been fundraising significant amounts to raise the capital required to replace our artificial pitch and we have been very successful at that too! We also have to keep the lights on and the water warm up in the clubhouse, the lights on the pitch from nursery teams all the way to senior! And that’s where this comes in. Our monthly draw has been very poorly supported and we need to change this. This draw is what pays the monthly bills in the club and is crucial to keeping the facilities going and the footballs on the pitch for all our playing members! 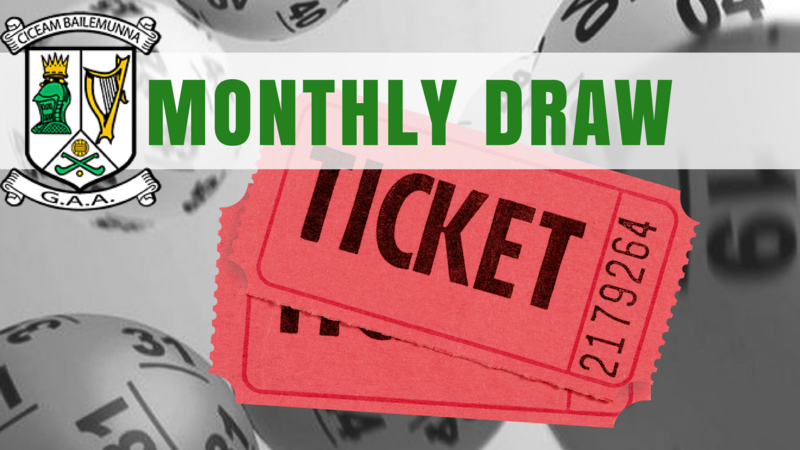 We are asking all our members and supporters to consider just a €10 per month direct debit to enter our monthly draw. There is also an option of a €20 per month contribution. This obviously will give you 2 entries into the draw. This is YOUR club and we are asking for your assistance in keeping it going day to day! Below is the link to the D/D mandate. Thanks for reading, we hope you share and we really hope you sign up! Míle buichas! Thanks for your comment, it’s pointed out to us that in creating the new page, we neglected to add the direct debit mandate here on this page. A glaring omission indeed! We will add it soon and you can print it off and send to your bank. Thank you.